Charm Necklace – MoonFigures Collection, Art, and Reviews! Paid: $10 from Half Moon at Anime Evolution in 2009. These necklaces are made from plastic. 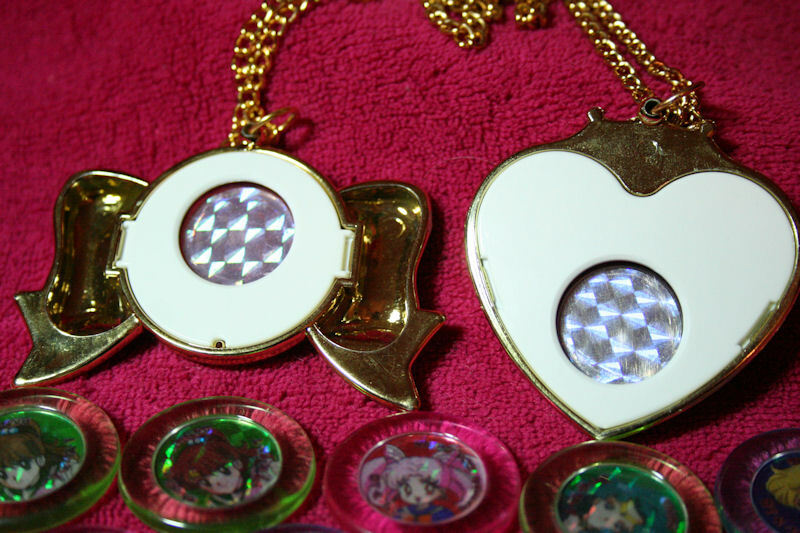 The backs pop out of them so that you can place the character medallions into them. 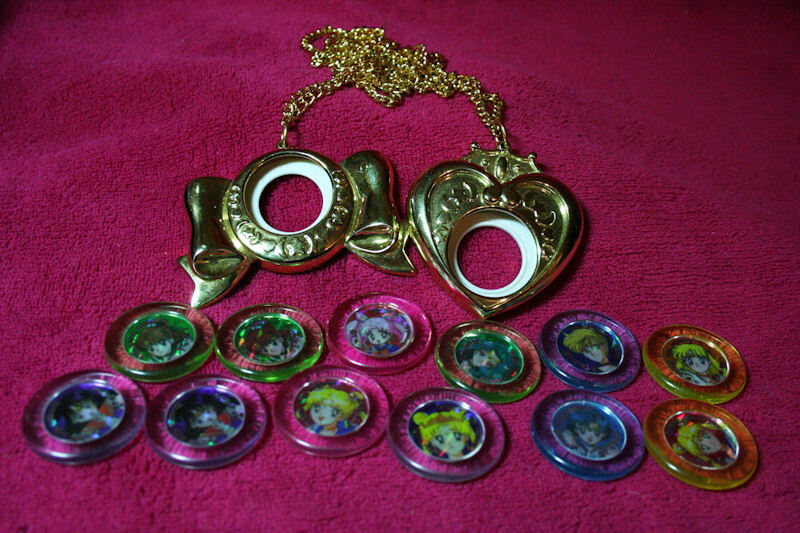 Currently I own two styles, the bow similar to the Scouts broaches, and a heart similar to Sailor Moons broach. 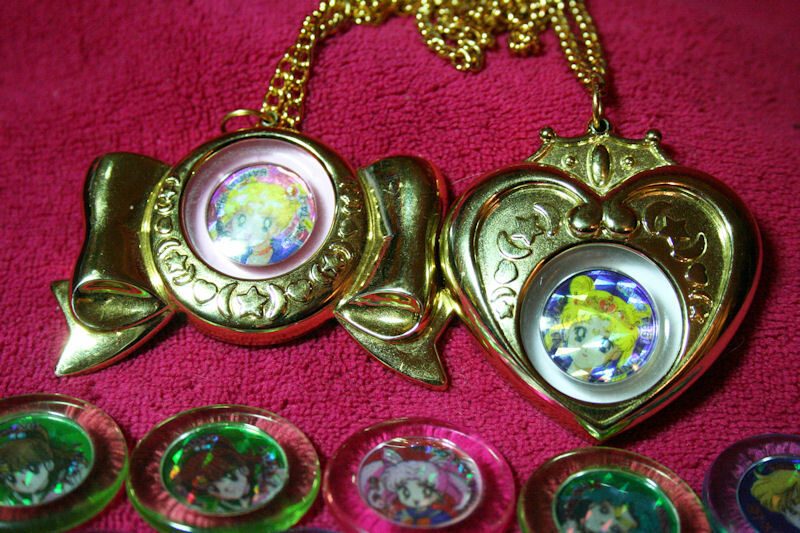 There are several doubles of the medallions because I owned the bow style before purchasing the heart. Although I paid $10 for these, they were originally found in dollar stores with the dark blue packaging. The copyright information can be found on the medallions photographs.